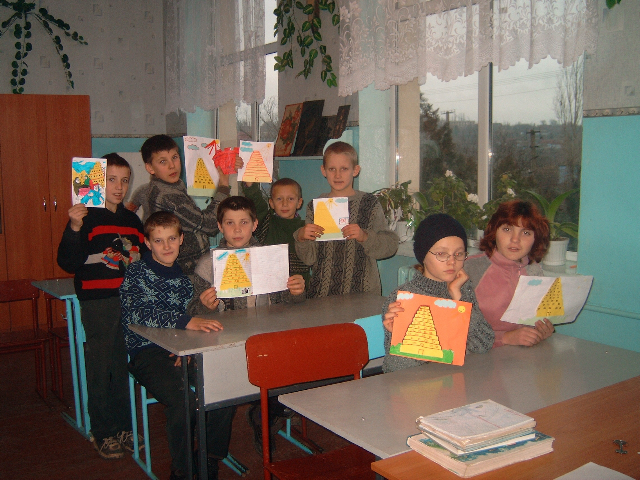 A unique opportunity to teach Bible during the Christian Ethics lessons in Ukrainian orphanages has become a reality. Christian Ministry Agape has brought hope to orphans through the teaching of Gospel during the Christian Ethics lessons. 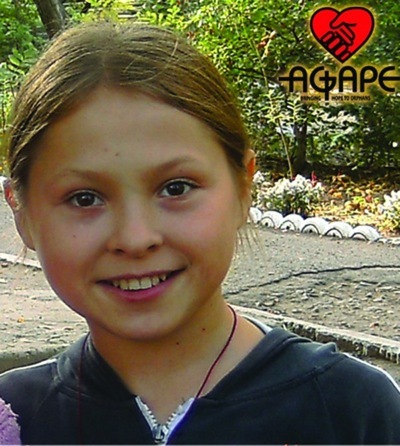 Up to now, working together with the administration of orphanages, teachers of Agape ministry are allowed to have a continual schedule of Christian Ethic lessons in Ukrainian orphanages. Agape ministry trains and supports Christian teachers to preach Gospel right in many governmental (!) orphanages of Ukraine. To understand better what Christian Ethic lesson is, think of a good Sunday School lesson with worship songs, prayer and a good Bible Study. This is exactly what is going on during Christian Ethic lessons conducted by Agape teachers in more than 30 Ukrainian orphanages. Currently, there are 45 compensated Christian teachers (who are paid) working in Agape. These are dedicated professionals who are passionate about their work with orphans. They carry the Gospel of Christ to 30 Ukrainian orphanages, reaching out to approximately 4000 orphans. 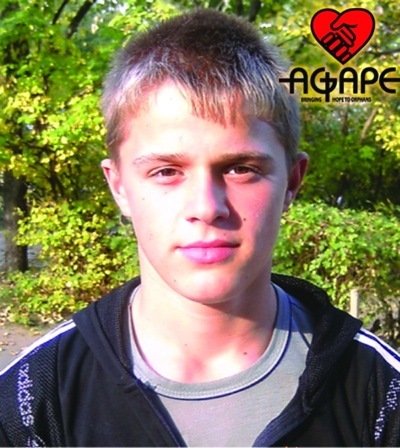 Having started this program in the Kherson region of Ukraine 6 years ago, the Agape ministry expanded to 7 Ukrainian regions. A special curriculum has been designed to effectively reach out and have a positive lasting affect on orphans of different age groups. The main goal of Ministry Agape is to share the Gospel and the love of God with orphans. What is important in Agape ministry, is that daily interactions with the orphans take place every week for years, the teachers are able to give their attention to every orphan, spend time with each one personally and get to know them as individuals. Consistency is mission's key rule. Daily interactions help build close relationships. The results of this approach are evident in the orphans lives. They have become peaceful, disciplined, and stopped being physically violent with each other. Although not obligated, many of them say nightly prayers before going to bed. Dear friends as you can see it's truly a miracle of God that Government allows us to do Bible Lessons in orphanages. We view this as a great opportunity from God to reach as many orphans as possible with Gospel of Jesus Christ. Right now we are working in 30 orphanages (about 4000 orphans) and we pray that this ministry is spread to all of the orphanages of Ukraine (more than 100 000 orphans). What do you think about “Agape” mission? I’d like to know you closer. I love you all very much. 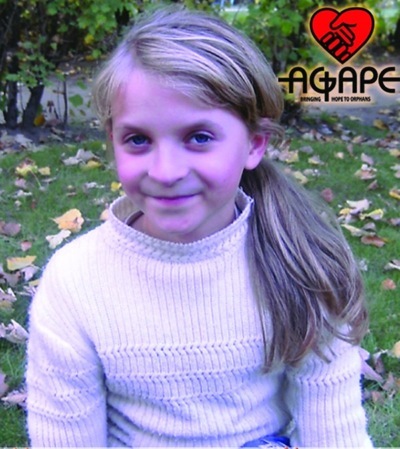 I love and respect mission “Agape” because they pray for us and they want all children to believe in God. What new have you learned about God? God created us. If there is no God there would be no people either. What do you like most of all in “Agape” lessons? I like to pray to God very much, to participate in lessons, to read Bible, to draw and to study golden verses.